A brochure is a bi- or tri-folded sheet that contains information about a business, event or organization. 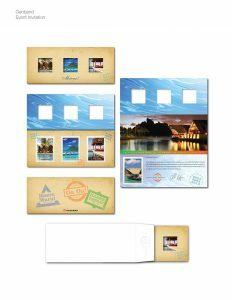 Brochures are excellent promotional tools because they are small and easy to distribute, can contain more information than a typical flyer, and are cheap to produce, even in large quantities. In order to maximize its success, however, several elements are necessary to have in your brochure. An intriguing cover: The cover is, of course, the first thing that your viewer will see. It needs to persuade the viewer to look at the brochure, but also must be concise and convey the main purpose of your business at a glance. The text used should be brief and images should be as illustrative of your offered services as possible. Headlines: Large headlines will allow the reader to quickly scan the brochure and decide whether or not they will need your services. Try to include information about the benefits you can offer your customers and how you can solve their problems in the headlines as well as the body text. A sense of urgency: Limited-time discounts and use of phrases like “call us now” or “visit us today” that encourage the reader to act will drive them to your services quickly. Special offers or discounts in particular can be especially attractive and make your business stand out among similar ones. Provide a call to action: Include your preferred method of contact – your website, phone number, and/or address – and give the reader the information they need to get started with your service. How the brochure is printed is also something to be considered. High-quality paper is a must to make a good impression and enhance the colors of your brochure design. You can choose between gloss and matte finish. There are also a variety of folds to choose from – besides the standard tri-fold (which typically has three panels) and occasional bi-fold, there is also the z-fold, creating by folding the sheet twice in the shape of a letter z. The panels fold like a fan and not into each other, and also allow for more space – four to six panels. 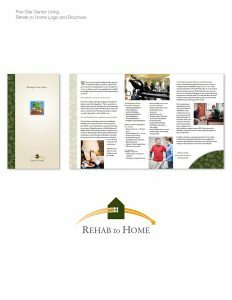 Be sure to keep these printing options in mind when designing your brochure in order to best meet your appearance requirements and have enough room for the information you want to convey about your business. Brochures can be an excellent way to increase interest in your business. Contact Lawton Reprographics today for your brochure design and printing needs!